Kathleen Flinn is the bestselling author of The Sharper Your Knife the Less You Cry as well as The Kitchen Counter Cooking School. 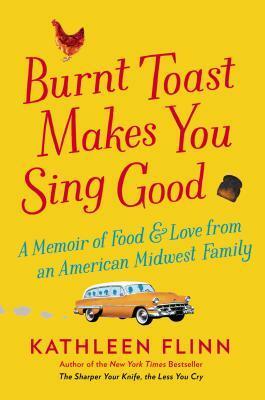 This week her newest memoir, Burnt Toast Makes You Sing Good: A Memoir of Food and Love from an American Midwest Family, hit shelves. 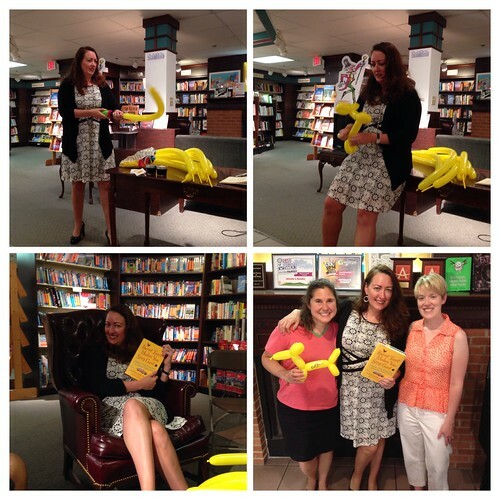 Since Flinn is from Michigan, she did an event at Nicola's Books in Ann Arbor on Wednesday and regaled attendees with stories from her life as a graduate of Le Cordon Bleu in Paris as well as her family history and how her love of food and storytelling came about. What I loved so deeply about Flinn's newest memoir, is that it really speaks to this idea of food being a catalyst for storytelling. I envision using this book as a mentor text with my students to get them thinking about telling their own family stories. They could bring in a family recipe and not just talk about the dish, but also the story behind it, because truly, all family recipes have a story. And each chapter of this book is Flinn doing just that: taking family recipe and sharing its story with great panache, love, and humor. If I can transfer that love and humor somehow to my students' writing, I envision a classroom full of students with open hearts and watering mouths. Thanks, just added to my TBR list. I can't wait to read this. What a fun event! I have a copy of this! I must get reading. How lucky that you got meet her! That's so cool you were able to meet the author. Had not heard of this book but sounds interesting. What a fun event; I love the idea of food as catalyst for storytelling.